It predicts by 2030 men will be living 85.7 years on average - just two fewer than women. In 1981 men lagged behind women by six years. Though life expectancy is improving for both sexes, it comes at the cost of widening inequalities between deprived and affluent areas, researchers say. The researchers, from Imperial College London, predict by 2030 men will be living 2.4 years longer than official estimates from the Office of National Statistics (ONS) suggest. And women gain an extra year. Unlike ONS calculations, their methods put greater focus on improvements in lifespan over the past few years and make less pessimistic assumptions about the future. And while the ONS takes a more national approach, they collated death rates from 375 local authorities across England and Wales. This is key as local authorities now take greater responsibility for planning health and social care services, they say. The new analysis did not cover Scotland, but government data suggests 76.8 years for males and 80.9 years for females. If their predictions prove correct, they say pension pots would have larger payouts than currently planned. Greater investments would also be needed in health and social care, they warn. Prof Majid Ezzati, lead researcher said: "We forecast rising inequalities, with bigger increases in lifespan for people in affluent areas than those in disadvantaged areas. "This means wealthy people will benefit more from health and social services than poor people." 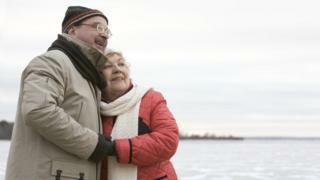 Brian Beach, at the International Longevity Centre think tank, said: "The methods used look very solid and innovative. "It has been known for some time that life expectancy can be influenced by social factors and where people live." But he suggested other research went against assumptions that rising life expectancy lead to greater dependence on public services. "Some would argue years of healthy life are increasing," he said. "A 60-year-old living 100 years ago would have been considered a very frail person. "But nowadays they might be viewed as middle-aged, living healthy and happy lives." The ONS said figures would differ depending on the methods and assumptions used. A representative added: "There is no clear consensus among academics around the likely speed of future mortality improvements among men and women. "All future projections are uncertain, hence ONS publishes variant projections to illustrate some of this uncertainty and help those planning public services." And Prof Sir Michael Marmot, an expert at population health at University College London, said: "Prediction is just that: prediction. "Changes in social policy, for example, could mean that actual life expectancy in 2030 could be bigger or smaller than these predicted gains." Gender gap: Will men ever live as long as women?